This is an unusually shaped bag that opens with two magnetic presstuds into a cube. 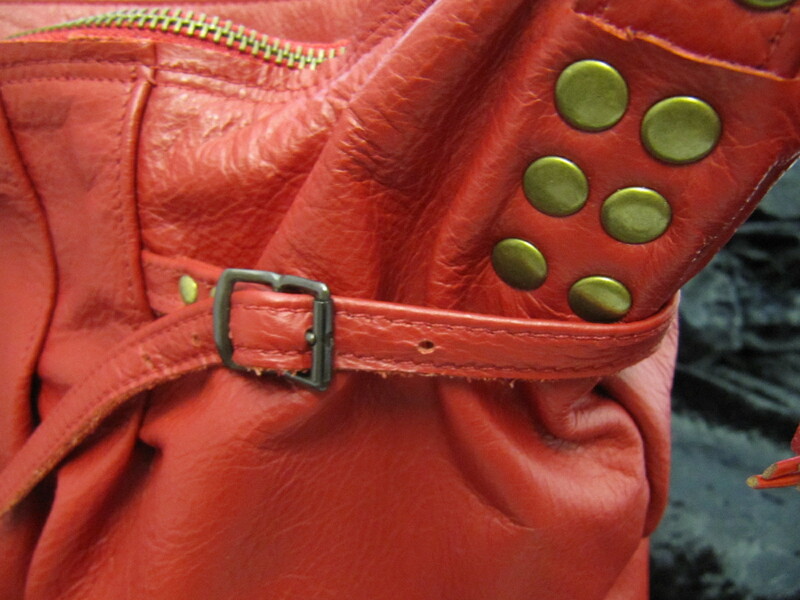 With a secure zip across the top and an outer zip pocket. It has two shoulder straps. It is fully lined with red camouflage fabric and a zip pocket at each end.